Cassie Shell Studs With Jeweled Edge Just $9.95 PLUS FREE Shipping! You are here: Home / Great Deals / Cassie Shell Studs With Jeweled Edge Just $9.95 PLUS FREE Shipping! A nice pair of earrings always brightens the day! 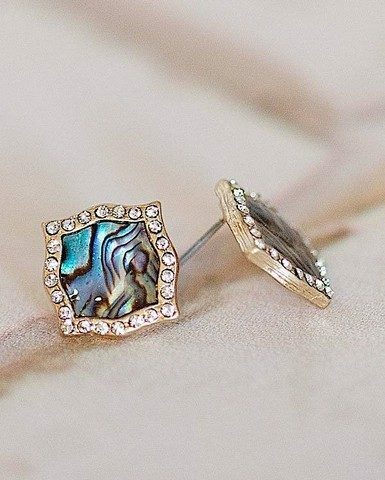 You can get these pretty Cassie Shell Studs with Jeweled Edge for just $9.95 PLUS FREE shipping! They are going to go fast, so HURRY!